Give your ol’ WC a quick DIY update for just a couple hundred bucks and a few hours of your time. You’re tired of your old, dated bathroom, but not yet ready to do a full-on remodel? It’s a common scenario. Here is an easy fix that can cost you as little as $200 and about an afternoon’s worth of time: a new vanity/sink combo. In Louisville, an updated sink and vanity will stand out and draw the eye to it, instead of to other bathroom elements that may be less than perfect. And if you happen to be replacing an old pedestal sink, you will instantly give yourself more storage space. Select a vanity that coordinates well with the style and color scheme of not only the bathroom, but also your home overall. Also, remember this for any future updates that you may have planned for down the road. 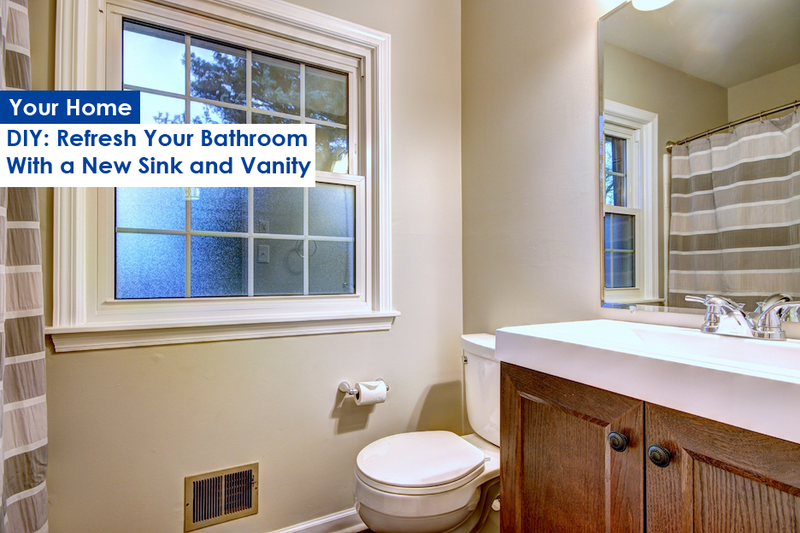 With your new vanity installed, your bathroom will look and feel newer and better. And lastly, you will have the pride of having done the job yourself. See additional pictures of my clients DIY outcome here. This home was remodeled in Douglas Hills. I love DIY projects – I will try it one of these days. I think it’s fun to do it.